Receiving feedback from your customers can be invaluable, and when it’s in the form of a glowing review can help you win new business. Even the not-so-good feedback can give you an opportunity for a little self-improvement. Asking customers for their thoughts after a job has been completed is often overlooked – we’re busy and quick to get on with the next job. Now there’s an easier way to automate the whole process, with Reviews! You can now ask your customers for reviews via an automated email from you, with a link to select a star rating and write their review. There’s no need to enter their name or email as these details are already filled in. Customers qualify as ‘Review Candidates’ based on a set of rules, for example: having a Quote accepted 15 days ago. Writing a review is frictionless. Customers may share their experience as a “public” review, or they can post as feedback only if they choose. A great way to showcase what other customers are saying about you, is featuring your Reviews on Quotes. The social credibility and third-party perspective will help to reassure new customers, which may be the thing that gets their acceptance! Your own hosted Reviews Page contains all of your Reviews (except for any that you’ve moderated and chosen to hide). 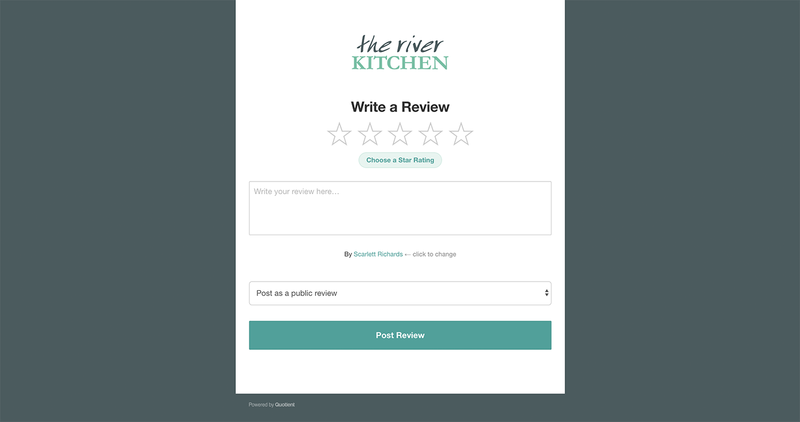 Your Reviews can be shared via the shareable link, and they can be embedded in your website. There’s also a ‘See all reviews’ link, from Quotes that feature your Reviews. Visit Settings > Add-ons > Reviews to get started – it’s really easy. We hope you enjoy Reviews as a new and improved way of collecting awesome feedback from your Customers!